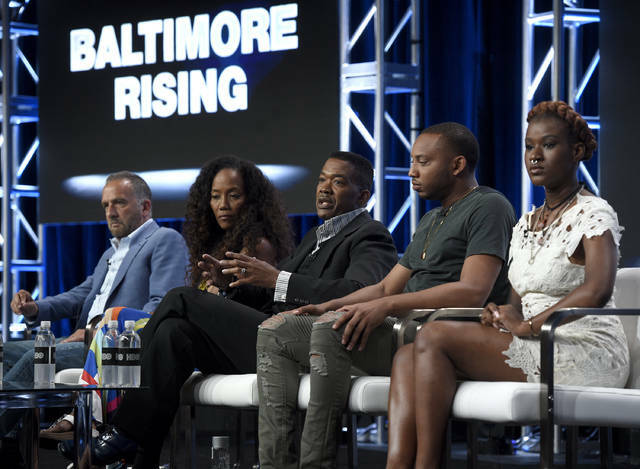 Is Baltimore really always at the cross-roads or are we further along than we think? 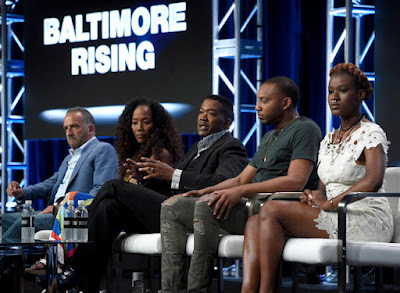 Baltimore is never far from navel gazing and feeling sorry for itself, from diagnosing that everything is falling apart and lamenting that nobody has a grip on anything. And how much better we would be off if we had better leadership. In fact, this seems to be pretty much the normal state of affairs ever since I set foot here 32 years ago and probably before. Once in a while a new Mayor or a few positive news set off a more optimistic tone and a sense of resolve, only to soon subside and make place for the usual sense of doom. The low self esteem of this city spreads as news. Currently a front page article in The Washington Post was titled "Baltimore's Open Season". Needless to say, the high murder rate and the low clearance rate on everybody's mind anyway being highlighted on the front page of a national paper didn't lift the spirit either. One can't argue with any of that. Dan Sparaco, once in the Mayor's office under Stephanie Rawlings Blake, used the Senator's post to put his own view online. It, too, takes the tone of "the end is near" (unless we do something drastic). Sadly our challenges seem so complex and so intractable no one knows who to blame. Those of us who can't stand what's going on are going to have to figure out how to tell a different story about what's going on. It cannot just be about personalities, or who happens to be mayor. For my part, I started something called BmoreNow.org. It's not just a political project. It is a historical project. We have to understand how we got here, and we cannot wait 20 years for the historians to tell us. We have to make our history into a political project. That history leads us to the fundamental truth. 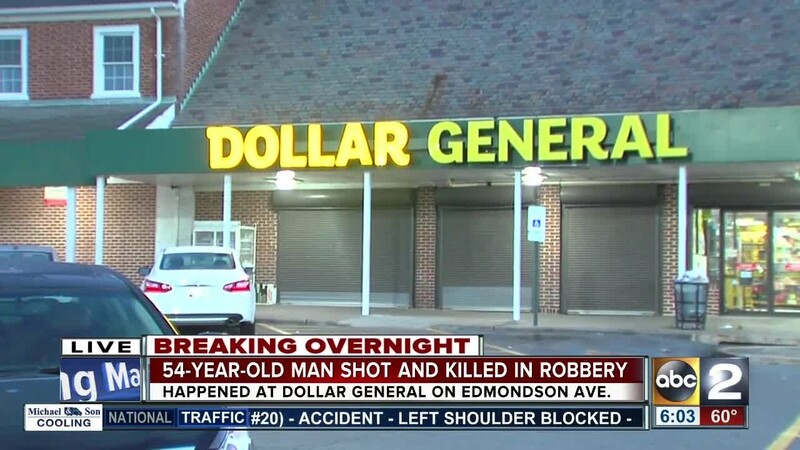 Aside from all of our inherent strengths as a city, the fundamental truth about Baltimore that was hidden before 2015 and that came to light after 2015 is this: this is the worst place in the country to grow up Black. This sense of foreboding, the sense that all is lost and that the City's fate is all but sealed is not even uncommon in academic circles. Already in 1995 David Rusk wrote a pamphlet titled "Baltimore unbound" which postulated that the City is "beyond the point of no return." Some ten years later nobody thought that this was the case any longer, the spirit had slowly lifted. But then Mayor Dixon was indicted, the financial crisis hit, followed by the second Baltimore uprising and since then gloom is in season again. The SUN published an op-ed at the end of 2018 which once again summarizes all of Baltimore's ailments and combines them with ridiculous ideas for a fix (Make the courthouse a state museum, locate a university on Howard Street). In short: overstated problems no real ideas for solutions. mean giving up. Take New Orleans, a city which typically had a higher rate of shootings and murders than Baltimore or Chicago and had been additionally decimated by hurricane Katrina. In spite of those blows, the city didn't resign to doom. Today NOLA is widely seen as on the mend, Mayor Landrieu is praised for having led NOLA to a new renaissance. His swift removal of confederate monuments was adopted by Mayor Pugh in Baltimore. "We see you," Landrieu is fond of saying. In Baltimore many don't feel they have been heard. Which gets us to leadership. The Sparaco and Ferguson Facebook posts were followed by lots of online lament about how poor our leadership is, even though Sparaco had just pointed out that the Mayor still enjoys an over 50% approval rating according to a poll he didn't name. Between an unpublished poll and the unreliable gauging obtained from social media posts it is hard to tell, how many people really blame the Mayor for the poor performance of the City when it comes to crime, policing and finding the perpetrators. Sparaco says that we need to get beyond looking at the persona of our leaders and approach the problems more comprehensively, but the spite that is spewing on the Facebook pages when it come to the Mayor, is palpable. The same was true for Stephanie Rawlings Blake and before her Sheila Dixon. Can it be true that all these mayors are losers or could it be that the critics are especially harsh when it comes black women? And wouldn't it be fair to argue that a city gets the mayor it deserves? After all, Baltimore's mayors got all elected, no matter how low the turnout may have been. Could it be, that being the Mayor of Baltimore is an impossible job? Or better, that pleasing the residents is an impossibility in a city which is myopic, parochial and consists to a large degree of people who either don't know any other place or don't care making an actual viable comparison? Could it be, that it is much simpler to throw the baby out with the bathwater and declare that the city is going to hell in a hand basket than to do an actual detailed analysis which puts things in perspective and names actual doable steps towards improvement? The deplorable condition of the police department is a case in point. Three police commissioners in one year, federal investigations and a consent decree, crimes and cheating on all levels of the department, who wouldn't describe this as a morass? Yet, wouldn't it stand to reason that in a city with so much crime and dysfunction, police would be more likely a mirror of these conditions than some magical organization of competence and upstanding citizens? Especially, considering that the police finds itself pulled in two directions: Tougher and more effective on crime on the one hand, and bringing more equity and more civil rights on the other. Sure, it has been rightly pointed out, that real justice eliminates this false alternative between toughness or equity, but this is hard to explain to the average Joe. And the harder the job of being a cop in Baltimore is, the less likely it is to attract people that are much above average. People complain about ineffective police but also that police absorbs more of the budget than education. But wasn't it Mayor Pugh who had publicly vowed to change that (and did for a while, at least on paper)? People rightly say that crime can't be fought on the level of catching criminals but it must start much more upstream with education, recreational and job opportunities. Isn't that exactly what the Mayor had suggested as well followed up with $20 million for pre-emptive crime prevention strategies and with free community college for Baltimore students? The limits in the available personnel pool are true for teachers, department heads, police commissioners, and, well, mayors, especially when the usually concerned citizens clamor for hiring from within the community. A Mayor faces these contradictions and tugs in different directions every day. A Mayor who is there for all people will never please everybody. Pugh doesn't play well in a team, the critics say, she doesn't analyze problems well and then act. She decides too much alone on gut instinct, they say. But isn't she the Mayor who hauled her entire cabinet in a bus to Sandtown as one of her first deeds in office, asking everyone what they can do post-Freddy Grey? Isn't this the Mayor who demanded of her department heads to come in an hour early to discuss as a group how crime can be lowered? Time and again? People always complain that the Mayor is in the pocket of developers and pays attention only to downtown and the "white L". But wasn't Pugh the Mayor to work with the Council to put together a community reinvestment fund with the express purpose of investing in the distressed and neglected neighborhoods? Wasn't it her planning director who appointed an Assistant Director for Equity, Engagement and Communications who analyzed the capital budgets and found blatant inequities that have since been corrected? How does it fit a city that is supposedly a step away from falling apart, that its fiscal health has been greatly increased lately? The baseline deficit through 2022 was reduced from $745M to $65M, an over 90% reduction? Or that the City has lost only 3,000 people in the last 8 years, way less than in any of the decades before, even though, this falls, of course, way short of the goal of growing the city by 10,000 households. The fact that only Baltimore and Detroit lost any population in a time of urban renaissance is certainly a cause of concern, but it is necessary to look beyond just one metric. More important than population numbers is fiscal health. Baltimore gained a lot of new young and educated people, many of them single. This explains how a city with decreasing population can still have an actual increase in the number of households. This isn't a sign of decline. Nor is it decline that the City gained about 30,000 jobs in the last ten years and that the number of poor households decreased. City unemployment decreased as well, in absolute numbers and relative to the State average as well. In 2010 it was over 4% higher than the State average, in 2017 it was only 1.8% higher. Assessed housing values continue to gain, even though these gains in the City are only a bit more than half of those on the State average, given the City's high number of houses with nearly no value at all, this value gain is still a remarkable fact. In the year end stories compiled by national media, Baltimore's large number of vacant is always worth an article. In a story about Baltimore's "disappearing act", AP once again recites the numbers. But in it, Seema Iyer, head of the University of Baltimore based numbers team BNIA (Baltimore Neighborhood Indicators Alliance) expresses cautious optimism: "“The mayor’s put together a really strong team. All the pieces are there. Whether they can connect the dots remains to be seen.” The article quotes her. But Michael Braverman, the energetic director of Baltimore’s Department of Housing and Community Development since 2017, is confident the city is turning a corner. Braverman says city government is focused on stabilizing and revitalizing neighborhoods that can grow, and on building from areas of strength. The reality of vacant housing isn't particularly encouraging, because in spite of significant rehabilitation efforts (about 4800 units in four years, not counting demolitions), the number of vacants remains flat for the last ten years. The reason is ongoing population loss, especially from distressed neighborhoods. (17 neighborhoods in Baltimore showed population growth). 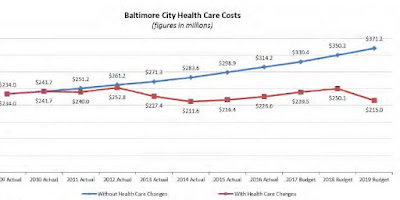 The Baltimore hand wringers usually just take it as a foregone conclusion that Baltimore's administration is bloated, inept and lacks innovation. A closer look at individual departments provides a quite different picture. Take the Health Department: It had three extremely successful Commissioners over the last several mayors and has made big strides in reducing infant mortality, teen pregnancy and a few other indicators. In fact, the last commissioner, Lena Wen, had such a high national profile that she was appointed to be the national executive director of Planned Parenthood. 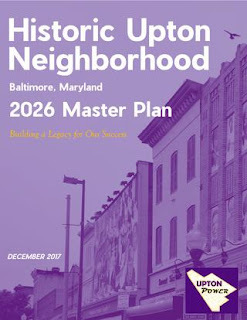 Housing was already mentioned, as an agency with a very broad portfolio (Mayor Pugh split it into two agencies that manage public housing and community development) it is responsible for everything from public housing and housing units that fall into the City's hands through delinquent owners, to code enforcement and permits. The Vacants to Value program aiming to recycle vacant units has gone through many years of refinement and is now a nationally recognized program with quite a few innovative tools. Housing is also a key recipient of RAD funds (Housing Assistance Demonstration), an innovative way using public private partnerships to rehab affordable housing. Planning finished a new zoning code, a new Sustainability and Resilience Plan and a Green Network Plan, something that none of the surrounding counties has managed to achieve. Only a closer look at these documents reveals how closely they track the best practices from cities like Philadelphia or New York. Since Planning is the agency to lay out a vision for the future and also put together the annual capital budget for the entire city, it isn't just academic what happens in this department. Transportation: Most would agree that this department has been a hot mess for years. It isn't clear yet if the new director is able to swing things into an altogether better direction. But progress has been made. The department now collaborates closely with MTA to expedite buses on separate lanes and with signal priority, it has continued the "orange cone" street repaving program begun under previous mayors. In spite of the bad image of Baltimore's streets, many miles have been repaved downtown and in distressed neighborhoods, potholes get filled within 48 hours, but the process is flawed and performs way under the necessary targets. 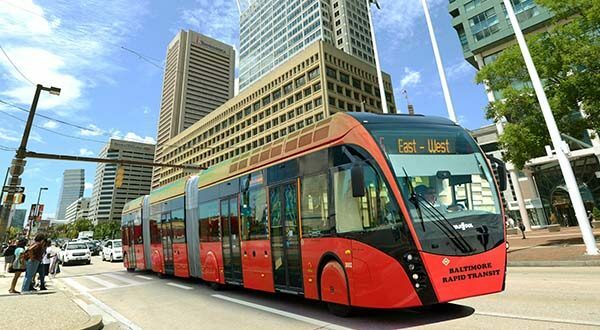 The Circulator bus is now under new management, so is Baltimore's Water Taxi and a very progressive Complete Streets bill was passed thanks to a new and invigorated City Council. The department has learned from other cities and after being late and failing twice, it put in place regulated and managed test periods for shared scooters and bikes and has finished a few additional protected bike lanes. The new speed and red light cameras seem to work without major problems. Related to transportation is an unmitigated success story: Baltimore's Parking Authority, a body that has adopted best practices in everything they do. It is managing parking with meter kiosks, garages and dynamic pricing. The authority makes money and fuels the Circulator Bus. 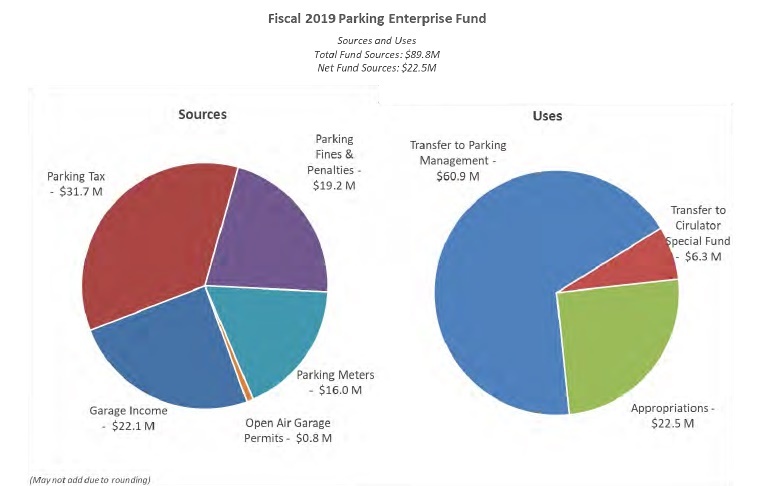 The revenues for the reinvestment fund also come from leased garages. Schools: Baltimore City with the help of the State has set aside unparalleled funds for school construction. The program is midway and people point rightly to a still sinking student population and bad test scores to say that a focus on buildings isn't enough. There are a few very good schools, but there are also many in which education doesn't happen. However, even the most ardent critic will have to admit, that a school in the center of an area that has been distressed for many decades, has a student population that it alone can't turn around. The purpose of this article isn't an apology for the many things that go wrong in Baltimore. I am one of the first to confess to losing patience at times about the snails pace of progress and the many missteps taken. Following what is actually done here and elsewhere quite closely, I once thought I knew the answers, but now came to realize that for each solution there are unintended consequences and disgruntled constituents and most importantly, larger national and regional forces that can nix local efforts. That whatever Mayor there is, a fragmented and splintered population is ready to throw its leaders under the bus. The wholesale condemnations do nothing to bring progress. Instead, a more differentiated view is needed. Most of all, though, what is needed, is that the private sector, the large non-profits, the institutions and the bigger community associations with their community development corporations engage and look beyond the City's boundaries for comparison and best practices to agree on a few larger goals. This may sound like a trite solution, but compared to Pittsburgh, Cincinnati or Detroit the Baltimore private sector, the universities and the large non-profits have hardly engaged at all. There is nothing gained from calling all city leaders incompetent, corrupt and ill meaning. Those cities which are ahead of us, succeeded because they created a consensus agenda of where they wanted to go and created a sense of mission. In that, even Detroit is now ahead of us. 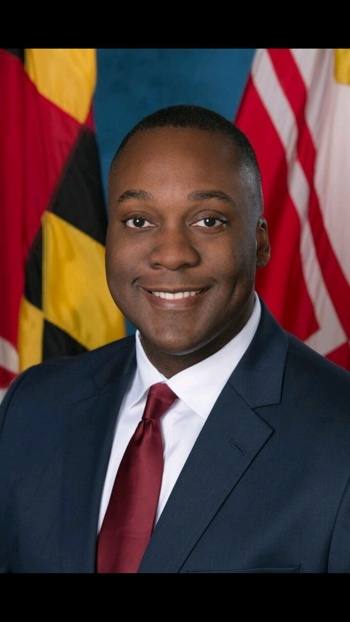 Will three new County Executives boost Baltimore's standing in the region? Nothing makes people yawn faster than mention of the word regionalism. Local politics isn't exciting to everybody anyway, and local policy extrapolated to a larger place even less. Those who at least understand what regionalism means might say, "Yeah, sure, maybe in Portland or Minneapolis, but not here. (Portland has the only elected regional government in the country, Minneapolis-St Paul is widely seen as a success story of regionalism.) Will the results of the recent mid-term elections make a difference in the Baltimore region? Baltimore's regional government, the Baltimore Metropolitan Council, has been so much on snooze that its website has been saying "under construction" for month and finding anything there is more miss than hit. 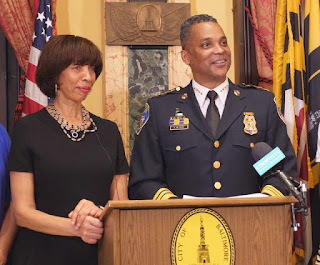 More miss than hit is also true for the various initiatives and ongoing policies of the BMC, a body that consists of Baltimore City, the City of Annapolis and Baltimore, Harford, Anne Arundel and Carroll counties. Needless to say, the interests of those members hardly ever align. The slowest and most reluctant thinker always determines the speed of this train, and when it came to regional collaboration and solving metropolitan issues, deeply conservative Carroll was usually activating the brakes. But lately there has been whispers of hope: Anne Arundel, Howard and Baltimore Counties each elected a relatively young new face, Steuart Pittman (57), Calvin Ball (43) and John Olszewski (36), all Democrats and all interested in collaboration. Could it be that the region finally is moving closer together? That they truly realize that most local issues expand way beyond the respective jurisdictional boundaries? 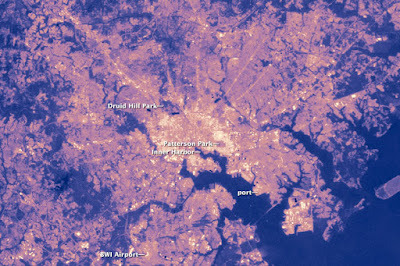 In full realization that urbanization and international competition require a look at metropolitan areas and not arbitrary lines on a map, the United States Office of Management and Budget (OMB) has long created the Baltimore metropolitan statistical area (MSA), an area of a 2,600 square miles slightly under 3 million people. (The MSA includes Queen Anne's County). This puts the Baltimore MSA nationally on rank 28, behind Tampa, Denver and St Louis but ahead of Portland, Pittsburgh, Cincinnati Cleveland and Austin. Water, sewer, traffic, electricity, are all obviously part of a regional system and require regional coordination. But wouldn't this mean that planning, land preservation, transit and affordable housing (to just name a few) also need to be coordinated? 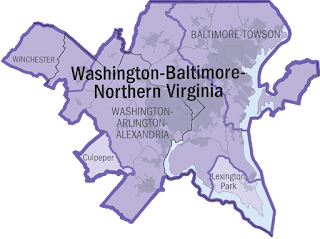 Wouldn't that be a particular obligation for Baltimore County and Baltimore City which hold each other in this peculiarly tight embrace that defies all planning logic? The thing is, that not even water is truly regionally planned these days even though it has a regional distribution, pipe, and reservoir system. Baltimore County plans, designs and builds its own water lines, the City only maintains them. The City really doesn't have a say about the design, composition, or development of new subdivisions and their pipes. 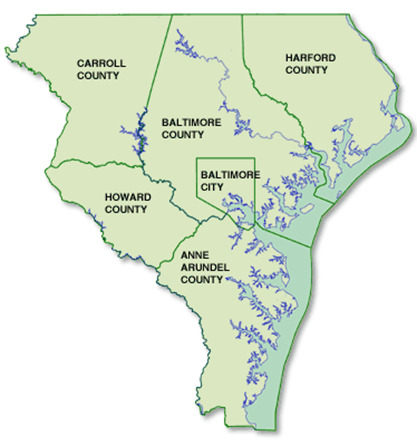 In matters of stormwater the two jurisdictions are entirely uncoordinated, even though stormwater freely flows from Baltimore County into Baltimore City, following the general contours of the watershed. The City had no say when the County abolished its impact fees for run-off. (Which people who don't understand stormwater management called the "rain-tax", a term that completely misunderstands the importance of the issue). Of course, transportation coordination is already required by federal law which mandates the creation of metropolitan planning organizations. Our's is the Baltimore Regional Transportation Board (BRTB) which sits inside the BMC. (Regional transportation planning has occurred even before it was a federal mandate). But the entire regional alphabet soup didn't prevent the State Secretary from single-handedly cancelling the Red Line and with it the 2002 metro area rail plan.and that he channels all transit money into rural roads or MDOT puts its capital budget together based on their "road show" in which individual local jurisdictions tell them what they want. 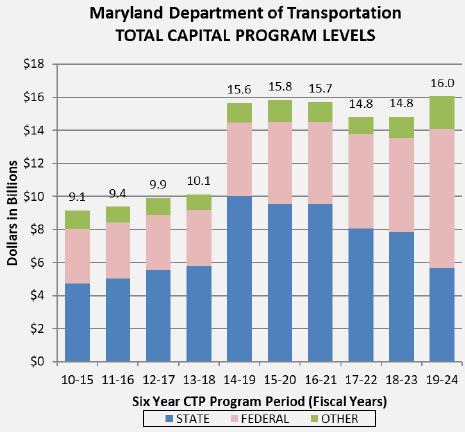 Maryland where transit is largely managed by the state, desperately needs local government to step up their game, so that they don't need 4 years to recover from a strike like the cancellation of the $2.9 billion Red Line. To create a stronger counter force the General Assembly last year voted to require the creation of a new regional transit plan which will be juggled between MDOT/MTA and BMC and needs to be completed by Oct 1, 2020. The plan represents an opportunity for the members of BMC to engage in transit and provide meaningful contributions. BMC put out a pretty good document, when it organized the Regional Opportunity Collaborative in 2015 based on rich regional data mining. Everybody connected it to the unrest in the spring of the same year and vowed that the opportunity document should not sit on a shelf. Which is, of course, exactly what happened. The opportunity report should be required study for all three new executives so they can glance from it some immediate tasks. They all understand that the region will only be strong through collaboration and coordination with a meaningful division of labor and synergy between the strengths of each jurisdiction and a cooperative approach to addressing the weaknesses. All three executives and the Mayor of Baltimore understand that the region can't be strong if the core, the largest city and the still largest employment center continuous to ail. Furthermore, the times when the suburbs could thrive on the simple notion that they were not the city (i.e. a place to flee to, a notion in good part driven by racism) are over. The so-called "inner ring suburbs" are no longer places of prosperity and homogeneity and their prospect for the future may be more complicated than those of the City since those suburbs mostly lack the parks and cultural institutions which can make a city attractive. 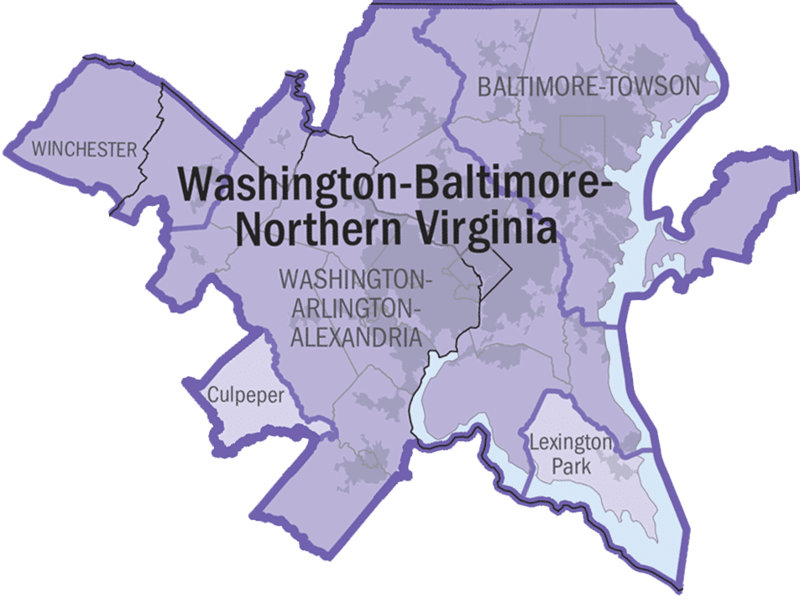 Things become even more complex once one understands that the Baltimore region cannot be understood without the Washington region. Coordination between the two regions is still rare, even though MTA and MDOT manage transportation in a large part of both regions. 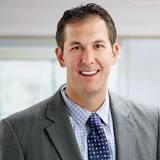 Johnny Olszewski has made regional collaboration a big part of his campaign. At several events he stood side by side with Baltimore's Mayor Catherine Pugh. One has to see if the three new Executives and the Mayor will be able to lift the BMC out of its slumber and begin the kind of collaboration that is needed pretty much across the board of everything for which local government is responsible. Such an awakening would be good for the City but aslo essential for each of the counties. By all accounts, Upton is one of Baltimore's most disinvested inner city neighborhoods: 73% population loss, a poverty rate of 56%, only 10% homeowners, 26% unemployment, only 29.5 % of residents have a college degree, Upton also has the second highest vacancy rate in Baltimore. The community is representative of too many similar neighborhoods in Baltimore. Except for the struggling public Avenue Market the area is also a classic food desert. But Upton is governed by a feisty group of community activists set to change the conditions. They secured funds from Wells Fargo and produced a masterplan and are determined to take fate into their own hands. And then there is Family Dollar, an outfit that owns discount stores and is a subsidiary of Dollar Tree which bought it in 2015. 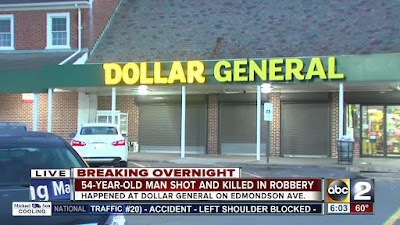 The sad truth of the divided Baltimore is that this category of store is flourishing in many poorer neighborhoods like a parasite. So it is everywhere in America. More Americans buy their groceries now from dollar stores than from Whole Food Markets, according to a newly published report. Grocery sales at the two biggest dollar brands, Dollar Tree and Dollar General, approached $24 billion this year, compared with roughly $15 billion at Whole Foods, according to private market data from the research firm Chain Store Guide. 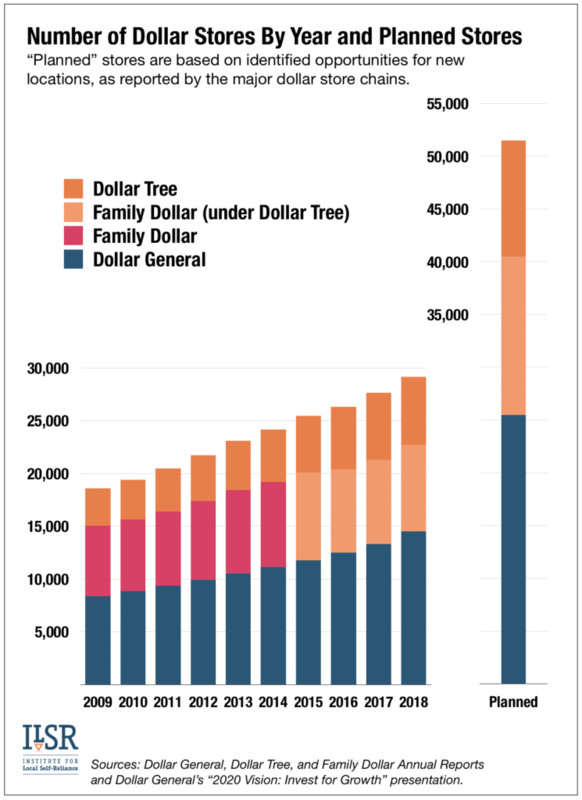 There are now more dollar stores in America than Walmart and McDonalds locations combined. "From our data, a high proportion of Family Dollar's shopper base goes there out of necessity rather than because they particularly want to. There is nothing wrong with this position, but it does mean that as financial conditions improve, or people feel they can afford something better, they are more likely to migrate away." Neil Saunders, Business analyst, GlobalData retail. To illustrate the story of a struggling community and a national chain store taking advantage of it, let's check in at a recent meeting of Upton's community leaders in which developers presented their projects for comment. Mary Blackwell, the Main Street coordinator had just finished speaking about the aspirations and hopes for Pennsylvania Avenue and the programs scheduled for the holiday season and announced that the Arch Social Club had received a $118,000 grant for the restoration of a marquee and installation of facade lights. The activists of Upton Planning Committee had convened for their monthly development meeting in the former Murray's grocery store inside the Avenue Market, particular busy on this morning. The sounds of the market coming freely in through the wide roll gate nearly drowned out the more timid voices, but timidity isn't the hallmark of the Upton activists who had just last year finished their Historic Upton Neighborhood Framework Masterplan with a planning horizon of 2026. Mary Blackwell is an elegant fighter, softspoken, eloquent and firm she explained how an Arts and Entertainment District, facade improvement programs and various strategic interventions could turn Pennsylvania Avenue around. Upton has engaged the Neighborhood Design center and obtained concepts for three "development nodes" along the Avenue, one at Penn and North Avenues, one at Fremont and Penn (Triangle Park) and one at the Avenue public market. And then the young representative of Twin Rivers Capital LLC, hailing from South Carolina and apparently not too familiar with Baltimore ("TRC provides national retailers with a comprehensive solution for growing their business by developing new locations.") stood up to present his project located just adjacent to the Triangle Park node: A Family Dollar store. At this meeting he was like a fish out of water. 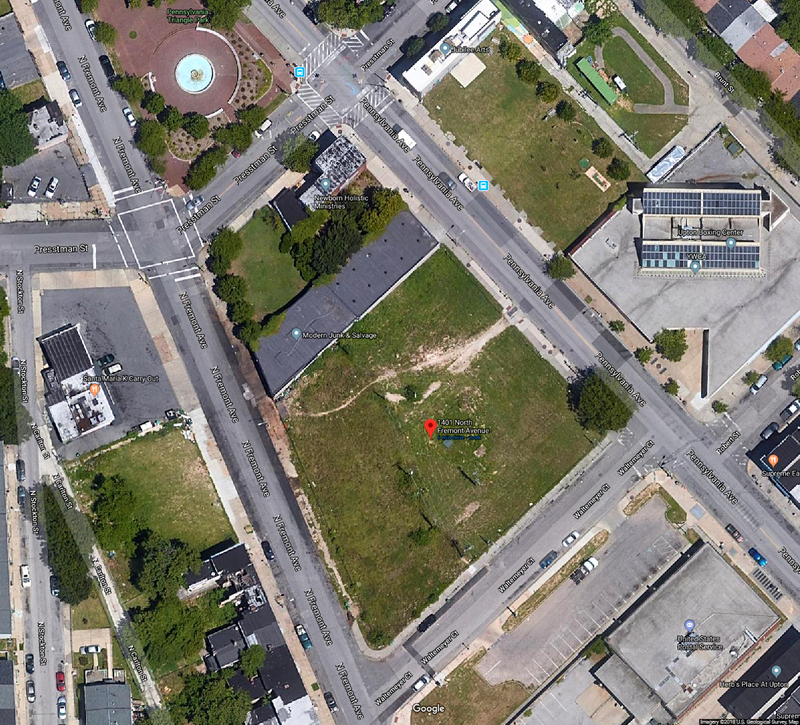 Twin Rivers wants to obtain a vacant site at 1401 Fremont Avenue, a lot that also faces Pennsylvania Avenue and a connecting road (Waltermeyer Ct). The site is currently owned by the City and Twin Rivers must first to obtain a certain level of support from the community before the Baltimore Development Corporation would entertain disposition of the site. 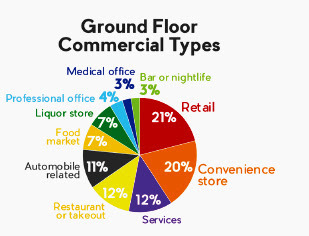 The site is located in an Opportunity Zone and in a Food Retail Incentive Innovation Area. 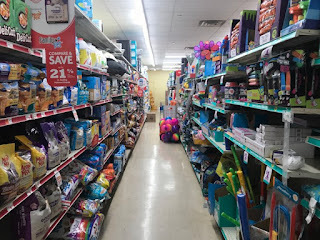 alongside the identical twins, Dollar General, and Dollar Tree, all of the sad inward looking facilities about which community members complain for the poor quality of goods and the lack of healthy quality food choices. Establish programs that foster entrepreneurship and provide workforce development opportunities on Pennsylvania Avenue. 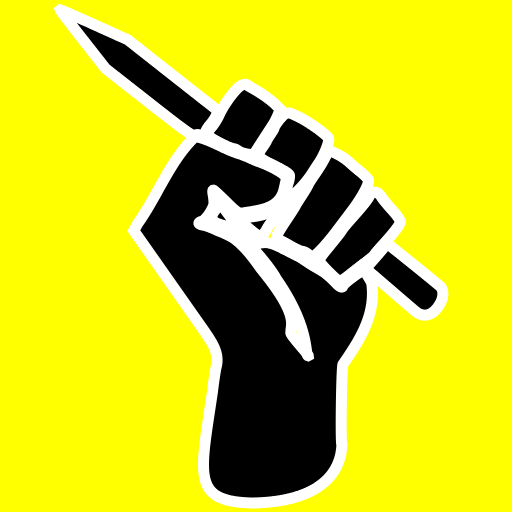 Implement development standards that require developers to use local workers. There is little doubt that the development subcommittee of the Upton Planning Committee will let BDC and Twin Rivers know what they think about the project. Meanwhile one has to wonder how long the national chains will need before they learn that not only more affluent America but everybody else is tired of their ignorant, cookie-cutter suburban solutions to urban retail sites that serves no other purpose than milking profits from poor communities and channel them into the accounts of far away headquarters without providing any new benefit to the communities. 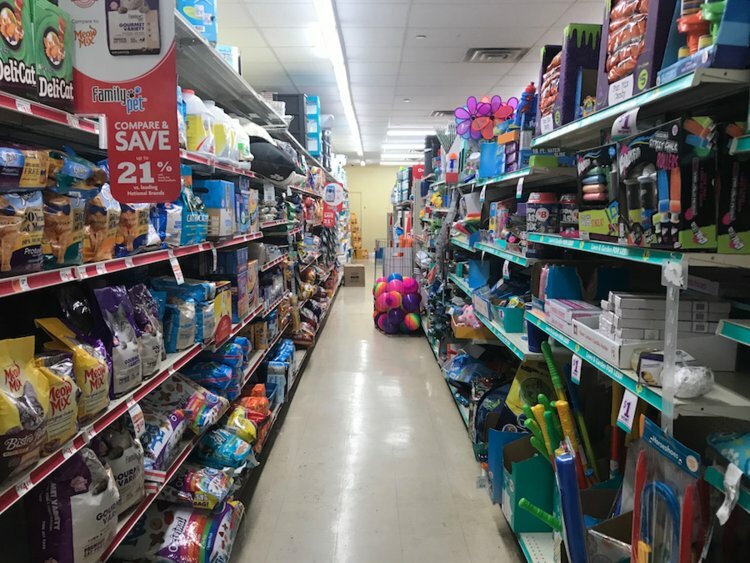 “Essentially what the dollar stores are betting on in a large way is that we are going to have a permanent underclass in America,” Garrick Brown, a researcher with the commercial real estate firm Cushman & Wakefield, told Bloomberg last year. 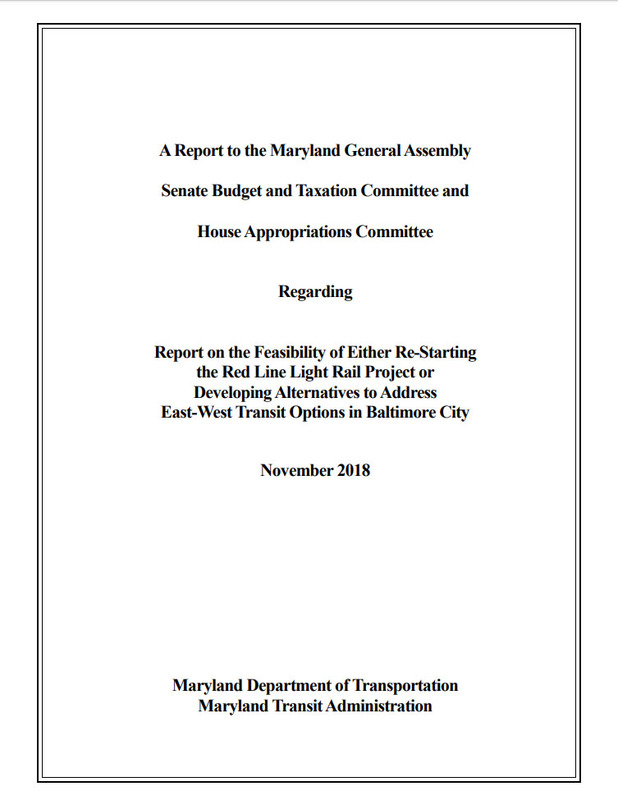 In the context of the 2019 budget the Maryland General Assembly requested that MDOT "prepare a report on the feasibility of either re-starting the Red Line Light Rail project or developing alternatives to address east-west transit options in Baltimore City.". The request gave the Secretary of Transportation, by his actions a fan of roads and a foe of transit, another opportunity to reiterate why he and the Governor he reports to canned the Red Line. 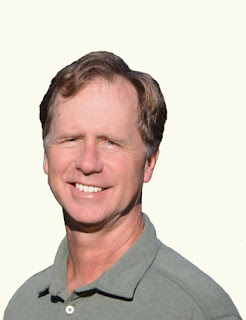 Rahn was long rumored to go back to New Mexico after the mid-term election and now appears to be staying on after all. It isn't entirely clear what the General Assembly expected but last month it got what it had asked for. All the reasons why an east west rail transit project can't be done. It's like asking your kid why it shouldn't go to school today, he or she will come up with plenty of reasons. The report fits a broader pattern. Here in Baltimore we have perfected explanations why something can't be done. Less frequent: The can-do attitude of success which asks: "What would it take to get it done?" Here in Baltimore we have been trained to "not raise expectations", even though pedagogy shows that nothing stultifies performance more than low expectations and conversely, nothing is more motivating, than high expectations. On 25 pages the report correctly identifies the federal funding hurdle that comes from sending $955 million of promised federal New Starts funds back to Washington and from taking the allocated State and local funds and re-purpose them to road construction. 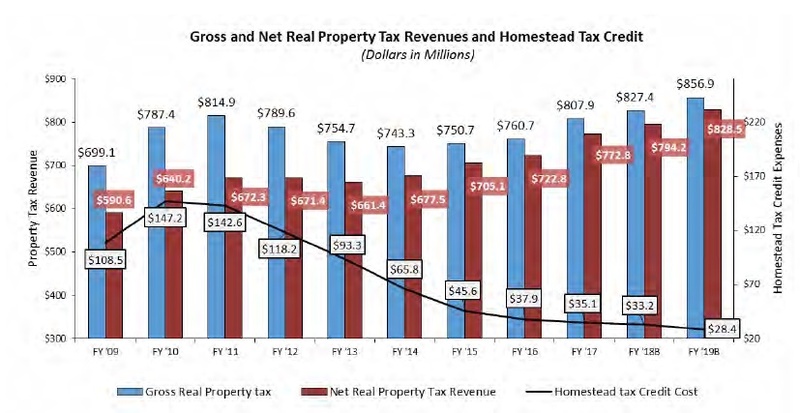 The report also estimates that construction cost since 2014 (the last cost estimate and originally assumed bid date) would have risen by $500 million due to inflation. That appears to be a vastly inflated number, assuming more than 15% inflation in four years. Regardless, it is obvious that putting a project on the shelf doesn't make it any cheaper. The paper also notes the two MARC investments at West Baltimore and Bayview which are in the MARC improvement plan and which the Red Line project assumed as happening to make the Red Line more viable. Especially the accessibility improvements at the West Baltimore MARC station have not lost any of their importance, but MDOT decided to not put any money into the future transportation program (CTP), even though the much touted LINK bus system now operates a bus hub right there. The Bayview station may be less important without the Red Line, but Johns Hopkins would still like to have it given that Bayview has close ties to NIH in the Washington area. A new MARC station at Broadway (EBDI) would be even more important, it could link MARC to the Metro subway and open up entirely new connectivity. But the current MDOT did not take the route of funding other rail investments after defunding the Red Line. The report talks a lot about project delivery and "design-bid-build" versus "public-private-partnerships". The original Red Line project was planned as a hybrid model, the Purple Line is a full P3. The report does not include any discussion about innovative new funding methods which are employed elsewhere to fund rail transit in spite of declining revenues and grants. No word about value-capture, transit-TIFs, transit benefit districts or sales tax referenda. changes in the physical environment, public or stakeholder comments, or budget considerations." This is a bold assertion. The FEIS, a time consuming step, is precisely the reason why the preferred project alternative for which the FEIS was approved, should not be modified. Without any proof that these changes are substantial, the report simply states "there have been changes to the existing conditions. These changes include physical changes such as land use, new construction, or transportation infrastructure, but also changes in demographics and the natural environment". If it would only be true that so much has changed in Baltimore City! 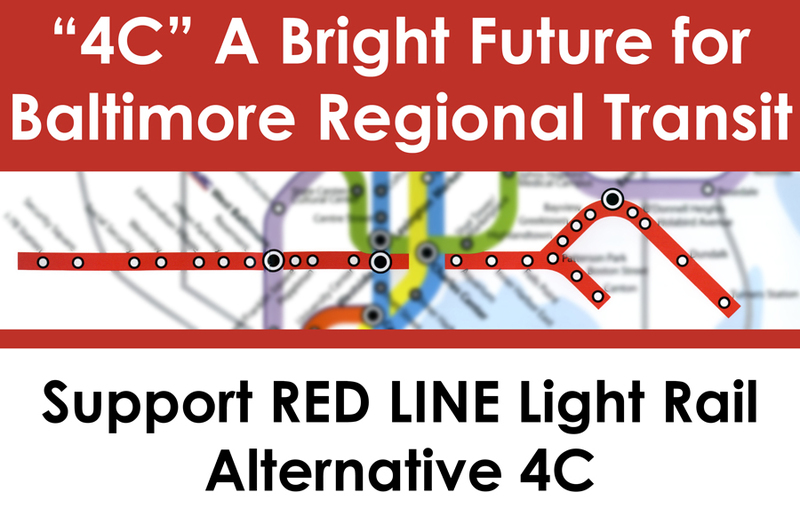 In areas where new development occurred (Fells Point, Canton, Harbor East), those projects had been anticipated and been an integral part of the Red Line plans. The report gleefully mentions one apparent exception: Oldham Crossing out near I-895, a project where the report assures that new street and utilities are in conflict with Red Line plans. If true, it should be a lesson for Baltimore City and County to preserve the Red Line right of way. Finally, the report gets back to the old bromide of the chromium findings near the eastern tunnel portal on Boston Street and considers it a "large cost risk" that was not included in the original cost estimate. 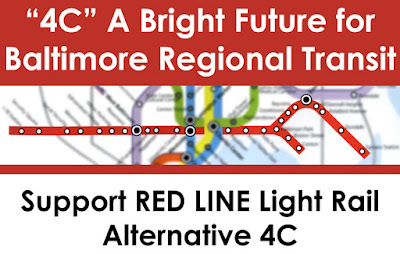 Hogan has always called the tunnel as a reason to object to the Red Line, as if tunnel construction for light rail would be an out of this world concept (it is not) or tunnels in Baltimore an exorbitant risk (they are not). The charge of the legislature to address an alternative method of upgrading East-West transit gets short shrift and is only addressed on the third last page of the report. Cavalierly passing over the question why MDOT and MTA did not study any alternative to the Red Line in the last four years, MDOT points to the Central Maryland Regional Transportation Plan (RTP) for ideas for alternatives. This especially gutsy, given that the TRP is another document that the Assembly had to force MDOT to undertake. This process has just begun and it remain to be seen with how much enthusiams MDOT will provide the process with the necessary resources and support. Lamely the report also offers the option of revisiting the alternatives that had been studied before the preferred alternative had been selected. It is well known, that Republican Governor Ehrlich took the Red Line planning process on a long detour towards bus rapid transit which ultimately proved more costly and less efficient than light rail. Who would want to repeat this? In the Summary the report has the gull to refer to "the variety of unresolved technical and financial issues present at the time the project was cancelled", none of which the report cared to mention in any specificity. The last paragraph of the summary on the last page of the report again puts all hope in the mandated RTP, clearly not a love child of MDOT and MTA. In all, the report is a waste of money and resources. 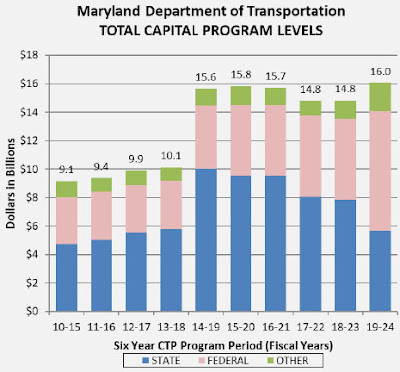 It only tries to prove what the Governor said all along: Baltimore doesn't deserve such a big transit investment. Baltimore's Howard Street is an extreme case of divided responsibilities: There is a CSX owned tunnel a few feet below the street, and above the tunnel but below the pavement a BGE gas line. Electricity runs in City owned conduits under the sidewalks but is filled with BGE cables. Howard Street also covers powerful underground data lines feeding a big switching facility in the old Murdock building at Lexington Street. MTA owns rail tracks embedded on the surface for the light rail trains. The City owns the street and also the water and sewer below it. In such a situation it is quite disruptive if somebody discovers that in some sections there is no base and no soil holding up the pavement and that the pavement itself is all that's holding up the street. This is exactly what a MTA track maintenance crew discovered last Sunday when they investigated a dip in the road running there between the tracks that had them concerned. They peered into a cavity several feet large with an exposed water and gas line visible in the glow of the flashlight. With heavy buses and trains running over the street, the discovery had immediate repercussions for transit riders. The road was closed and trains and buses stopped. A bus bridge was established to ferry riders between Camden Station and Mt Royal Avenue on a parallel route. Fortunately, CSX determined that the tunnel wasn't affected and kept its trains running. Of course, the MTA discovery also brought out the City transportation folks, BGE and DPW to see what was going on. A few drillings and a subsurface camera revealed only what was already known, considerable cavities but little insight regarding the cause. Often leaky water or sewer lines are the culprits which wash out soil and fill under roadways, but no defect utility lines were detected. "It must have been the heavy rains" city engineers determined and proceeded cleaning out stormdrains for good measure. And like any dentist, they began filling the cavities. Instead of amalgam they used a gravel concrete slurry. The method of building up a base underneath existing pavement doesn't represent the usual industry standard, but it may well do the trick and wont easily wash away again. At this point only work on the concrete encased "embedded" track is left to do before the roadway can be opened again. MTA contractors discovered poor track embedment on the other end of the block as well and busted it up for a new fill as well, making best use of the order of concrete that is needed anyway. A pretty clear dip on the southbound track just south of Saratoga, though, will remain for the time being. And, in a rare case of prudent coordination, BGE is also on site doing maintenance on the conduits, using the street closure as an opportunity. With all the activity, the originally anticipated re-opening date of Tuesday came and went. Maybe now it will be Friday until the bi trains rumble down Howard Street again. 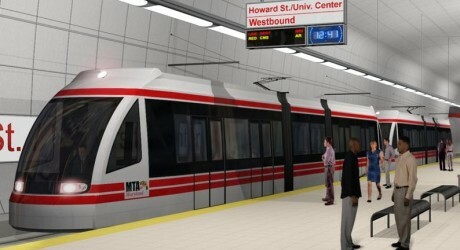 MTA identified the same section of Howard Street as the target for a comprehensive fix next year. The MTA wants to rip the worn tracks out and realign them so that they don't swerve as from running with traffic on the side to traffic running in between. The work is part of a comprehensive track upgrade on the aging system and may give Howard Street once again a traffic free pedestrian area between Saratoga and Lexington Street. However, this is depending on a new TIGER grant which had not yet been awarded and isn't certain. Details would still be worked out if the grant is sure. Even if there is no grant, after nearly 30 years in service, the MTA will have to replace Howard Street tracks to get them into a state of good repair. On July 18, 2001 at 3:07 pm a spectacular tunnel fire in the CSX tunnel under Howard Street brought all of downtown to a standstill and resulted in a special FEMA report about the incident. City and CSX argued for a long time about the question whether a 40in water main above the tunnel had leaked into the tunnel, causing the tanker derailment or whether the line damage was caused by the derailed tanker burning at very high temperatures. In 2005 NTSB finally blamed CSX for likely causing the accident that cost a total of $12 million. City and CSX were blamed for poor records of the location of utilities and the previous track repairs. If the current fix holds, the vigilance of the MTA track inspectors prevented another debacle which could have easily arisen from the sinkhole. implementation plans (SIP) for certain pollutants at certain deadlines and cross their fingers that those plans get accepted, even though the target levels remain elusive. In the eyes of citizens, the matter of clean air has become complicated, cumbersome and obtuse with less pollution in plain sight. Consequently, if code yellow or code red are called out in the summer, hardly anybody bats an eye. Hardly anybody knows what it means and nobody really changes their way of life or leaves the car in the driveway. Ground-level ozone and airborne particles are the two pollutants that pose the greatest threat to human health in this country. Ozone, also known as smog, can irritate your respiratory system, causing coughing, irritation in your throat or a burning sensation in your airways. It can reduce lung function, so that you may have feelings of chest tightness, wheezing, or shortness of breath. 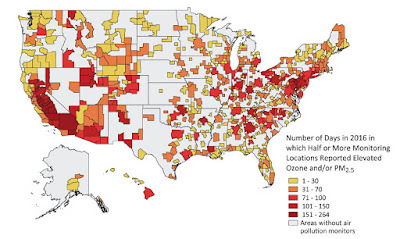 Ozone can aggravate asthma and trigger asthma attacks. People at greater risk from ground-level ozone are people with lung diseases, such as asthma, older adults and children and adults who are active outdoors. Such tranquility can be deceiving. Germany this year was stirred into a frenzy by court ordered Diesel-Fahrverbot (Diesel vehicle prohibitions) in many larger cities. The country is in uproar because entire classes of diesel cars (except the very latest models with the latest class of technology) may not be able to enter large parts of most polluted areas in many German metro areas. In the German rustbelt city of Essen, even the Autobahn 40, a lifeline of the entire region is included in the ban. If truly implemented (nobody has a clear strategy how to enforce the restrictions for which all those cities busily install traffic signs) the mobility and economy of entire regions would collapse. The dire situation came suddenly, in part caused by a test by the University of West Virginia which uncovered first the ever wider criminal methods with which the German car industry cheated consumers. Restitution was paid out mostly in the US, German car buyers went empty handed. Then came the courts stirred by one particular activist clean air organization. Before that, cities and regions ignored the pollution limits established by law year after year, just as here. But unlike the US, German cities and States don't have mandatory mitigation plans. Meanwhile, the measurements for particle and NOx pollution aren't hard to find there. Frequently they are displayed in real time on large electronic displays right where the pollution is worst. Eventually activist Jürgen Resch, of the Deutsche Umwelthilfe (DUH) began to sue one city after the other and each time their organization won, forcing cities to take action against the worst contributors, the diesel vehicles. This was certainly facilitated by the diesel scandal around NOx emissions for which some top auto managers already sit in prison. Hazardous air pollutants: These are either deadly or have severe health risks even in small amounts. Almost 200 are regulated by law; some of the most common are mercury, lead, dioxins, and benzene. “These are also most often emitted during gas or coal combustion, incinerating, or in the case of benzene, found in gasoline,” Walke says. Benzene, classified as a carcinogen by the EPA, can cause eye, skin, and lung irritation in the short term and blood disorders in the long term. Dioxins, more typically found in food but also present in small amounts in the air, can affect the liver in the short term and harm the immune, nervous, and endocrine systems, as well as reproductive functions. Lead in large amounts can damage children’s brains and kidneys, and even in small amounts it can affect children’s IQ and ability to learn. Mercury affects the central nervous system. Polycyclic aromatic hydrocarbons, or PAHs, are toxic components of traffic exhaust and wildfire smoke. In large amounts, they have been linked to eye and lung irritation, blood and liver issues, and even cancer. In one recent study, the children of mothers who’d had higher PAH exposure during pregnancy had slower brain processing speeds and worse symptoms of ADHD. (The Natural Resources Defense Council). 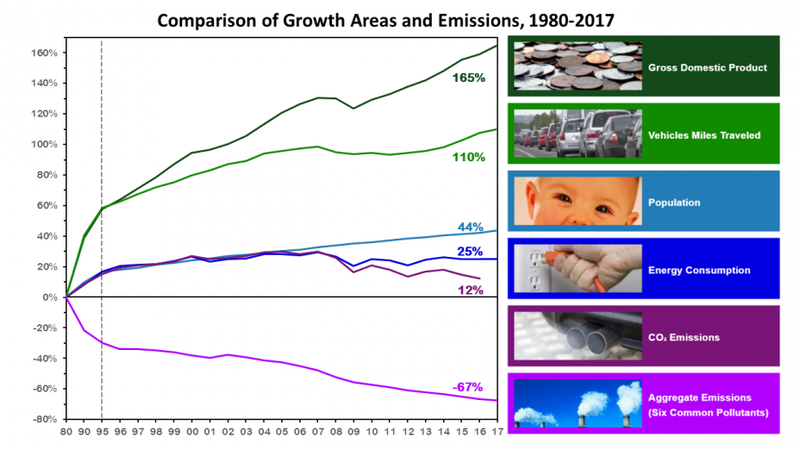 There are, however, some key differences between Baltimore and say, Stuttgart, the City with Germany's worst air quality in terms of particle and NOx emissions. The Weather Channel rates Stuttgart's air today as "unhealthy for sensitive groups". Baltimore's rating for this fall day is "good". Stuttgart is on two of three pollutants: particles and NOx . For the Air Qulaity Index (AQI), the third metric is ozone, Baltimore's chief culprit. With those three measures Germany's AQI becomes problematic in the winter and Baltimore's in the summer. The critical component in Baltimore is ozone and the critical component in Stuttgart is NOx and particles. Stuttgart's sun is hardly ever strong enough to truly cook the dirty air in the same way as Baltimore's heat can do it, while Germany's dominance of diesel vehicles (more passenger cars have diesel engines than gas engines) brings up the particle count, especially in the winter when engines often run in cold mode and the airflow isn't cleaning out the air in Stuttgart's bowl shaped center as it does in the summer with warm days and cool nights. Both countries have made great strides in overall air quality. For example sulfur from burning oil has gone way down, lead free gasoline has practically eliminated lead from the air and catalytic converters have drastically cleaned most pollutants from cars. This may explain the long lasting apathy against the remaining violations. With Trump in control of the EPA and Hogan in Annapolis, there is little risk that politicians would all of a sudden clamp down on the non attainment, especially since oversight resides with the federal EPA. But the German government wasn't eager to disturb the cheating auto industry either. But as the recent German situation shows, law-suits can upset the apple cart in short order and leave politicians scrambling for compliance. In spite of all the panic overseas, it is unlikely that it will come to actually closing down entire central cities to most vehicles on the road. Those yellow jackets in France just proved how quickly drastic environmental measures can run into a wall of popular unrest when large portions of the population are hit hard. Yellow vests have already been sighted in German cities as well. Meanwhile, Baltimore's air is worst in the poorest neighborhoods, and unlike in Stuttgart, Baltimore's pollution isn't mostly caused by diesel cars but comes out of state. 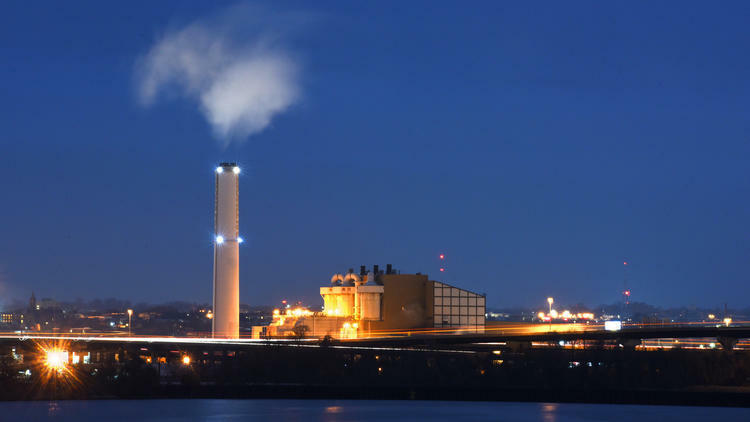 Because we happen to sit downwind from coal fired power plants in other states, Maryland's legal action has come from the State itself. Maryland's Attorney General has sued the EPA over those polluters under the "good neighbor" principle, an approach that has worked in the past. But not to be mistaken, there are plenty local sources as well, some are "low hanging fruit" for elimination: Chiefly Baltimore's incinerator, the single largest source of local emissions for certain pollutants. "The facility processes more than 700,000 tons of trash each year just as many tons of CO2. It releases about 120 pounds of lead, 60 pounds of mercury, 99 tons of hydrochloric acid and 2 tons of formaldehyde, according to the Maryland Department of the Environment" (SUN). But because it also generates energy from waste, it is still classified as green energy. 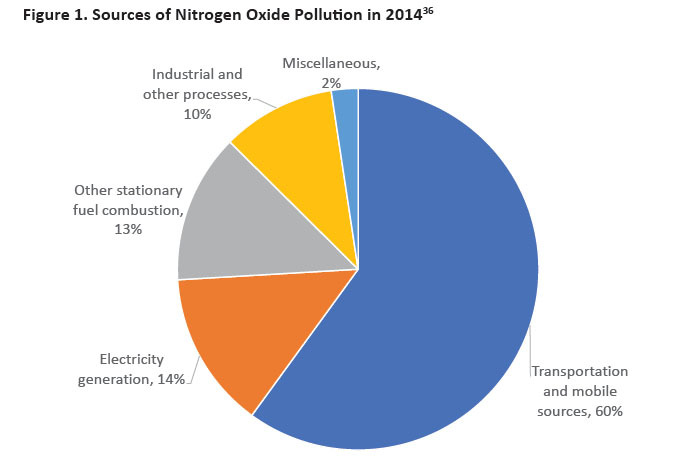 Transportation still is a significant source of pollution in our metro area. Not for the few diesel passenger cars, but for ships, train engines, trucks and buses, all large contributors of the transportation based air pollution and all propelled by various forms of diesel. Ships burn cheap heavy oil and are huge polluters not covered by the low sulfure diesel regulations placed by EPA for trucks and cars using diesel. Train engines can also emit a lot of NOx and particulates, especially when they are older switching engines which do not use the hybrid diesel electric propulsion of heavy freight engines. Washington DC, for example, had identified switching engines as their primary polluters after they gauged emission sources to find a good use of the Volkswagen diesel fraud penalty money which has been distributed to all states which had sued Volkswagen. Air pollution can not only be faught by eliminating sources, it can also be mitigated. In Stuttgart experimental particle absorbers have been installed at the dirtiest intersections. In Baltimore as in many other cities trees have been identified as great air scrubbers. They collect particles, dust and CO2 and cool the air while emitting oxygen. A big effort is underway to plant more trees all over the city. In that context, the Mayor's order to place a large Norwegian spruce tree, cut from Druid Park, as a Christmas tree in front of City Hall caused much consternation. But the much bigger problem is that most Baltimore street trees are planted with so little thought about what a tree needs to grow and thrive, that most never grow tall before they die from lack of water or appropriate soil and barely contribute as scrubbers and the cherished "tree canopy". Mitigation on a bigger scale could come form air flow that can dislodge dirty air from neighborhoods or downtown. The natural feature, is hardly studied in the US, though. Not so in Stuttgart. Thanks to the already noted shape cup shape of downtown at the bottom of a large bowl surrounded by hills, stagnant air was a huge problem there, because foul hot air was trapped inside the cup. This has made geography and topography an object of intense studies since the seventies. What was found is that air flows downhill at night, when it cools down, especially in green areas which are not subject to the urban heat island effect. The air flow of colder, fresher air into the cup would push the dirty air out if access to the valleys is kept open and unobstructed. Initially the researchers found that many buildings were blocking and plugging up the air flow. Eventually the masterplans and urban design rules were modified so that buildings in the main air flow channels were either prohibited, limited in size or regulated to stand in the direction of the lowest resistance and parks were enhanced to become a "green lung" for the city. Having seen the infrared photography for Stuttgart and the resulting planning steps in their early phases when I was a member of a local borough council, I suggest to study air flow here as well. It could very well be at work in Baltimore as well and that ignoring its doings would result in unintended blockages and untapped green resources here as well. The air is cooler over Leakin Park, the Jones Falls Valley, Druid Park and Cylburn Arboretum than downtown. Thus these parks could act as a "green lung" here as well and the Jones Falls valley would be a natural air flow conduit with the terrain sloping towards the harbor. Except that the JFX and a number of structures placed in the valley act as barriers and additional pollution sources. However, aside from "heat sink" imagery, no thermal flow analysis was ever done here to me knowledge, at least not with the purpose of studying air flow, air exchanges and the City's natural ability to "breathe". With all the talk about sources and mitigation measures, one should not forget that people continue to suffer from Baltimore's poor air quality. To make matters worse, air quality is the worst in the poorest neighborhoods thanks to a longstanding urban planning practice of putting polluting and undesirable uses where the poor people are supposed to live. Poor neighborhoods typically also have the lowest tree canopy, the lowest number of public green and parks and the busiest streets with heavy truck usage. No wonder then, that residents suffer from asthma and other air pollution related ailments, impacts that significantly contribute to the huge health disparities between neighborhoods in Baltimore which can be as large as 20 years. Baltimore's recent Green Network Plan begins to address those inequities and could be augmented to consider "green urban lungs". It is time that Baltimore awakens to the reality that its air is far from what it should be, especially since the air usually doesn't blow from the Bay or the Atlantic. The need for local activism is especially high when the federal government is relaxing standards on clean air. Baltimore needs to attack air pollution as what it is, a significant health hazard and an another building block in the region's large disparities and inequities.